I’d like to suggest a thought experiment. 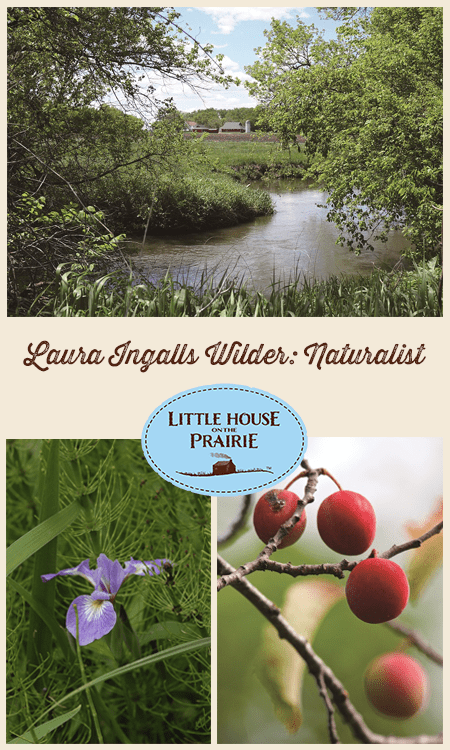 Instead of categorizing Laura Ingalls Wilder as an American children’s author, think of her as a nature writer as well. Take her titles. 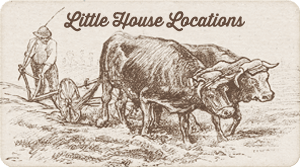 The Little House books announce specific places in the natural world. Each time the family moves in the series, the title of a novel unveils its new setting. 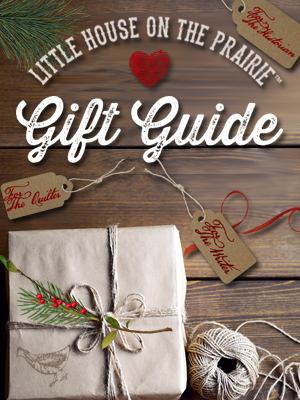 Readers are told from the start to expect the woods of Wisconsin, the banks of Plum Creek, Silver Lake with its shores, and, of course, the prairies. 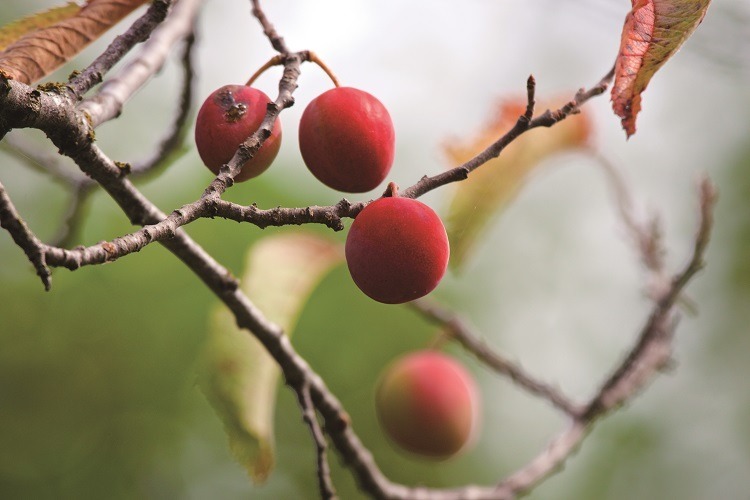 Laura Ingalls Wilder was underscoring the importance of nature to her stories. Turning past the title pages, Wilder described each locale — what today one would call ecosystem — with precision. The novels brim with details about terrain, plant and animal life, and weather of the places that the Ingalls and Wilder families called home. 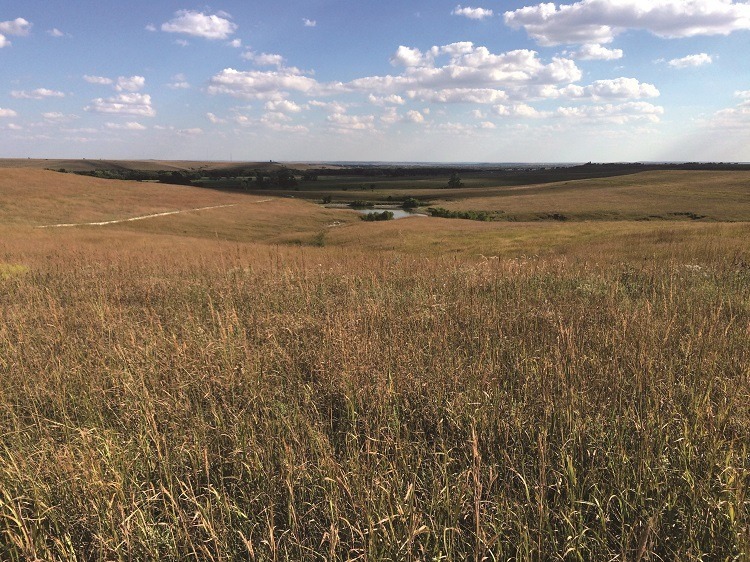 While no scientist, Laura Ingalls Wilder was so accurate in her prose that scholars have been able to identify the flora, fauna, and landscape features. Image taken from The World of Laura Ingalls Wilder Copyright 2017 by Marta McDowell. Published by Timber Press, Portland, Oregon. Used by permission of the publisher. All rights reserved. 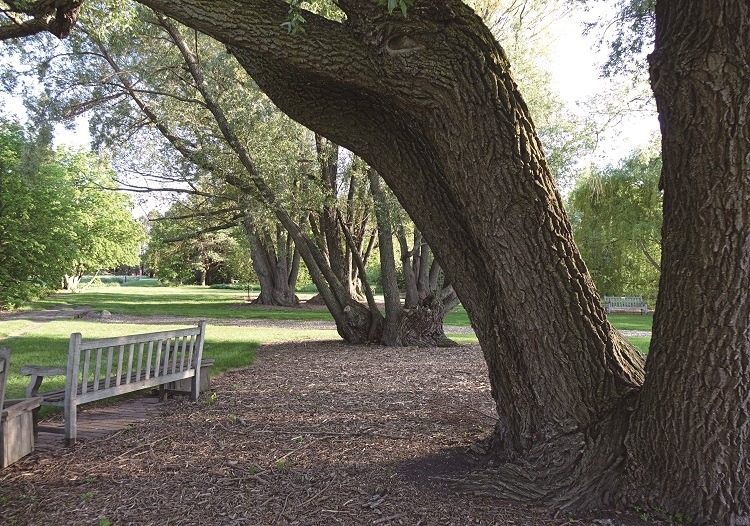 As an example, let’s look along Plum Creek. In her novel On The Banks of Plum Creek, Wilder painted a picture of the landscape from the top of tableland to the sandy and muddy creek bottom. Waterbugs scoot on the surface of the stream. Leeches — those “nasty things” — a badger, and “a big old crab” play roles in the plot. Willows crowd the creek’s edges. Apropos of the place name, there are thickets of wild plums where Laura and Mary pick the fruit that Ma dries and makes into plum butter. 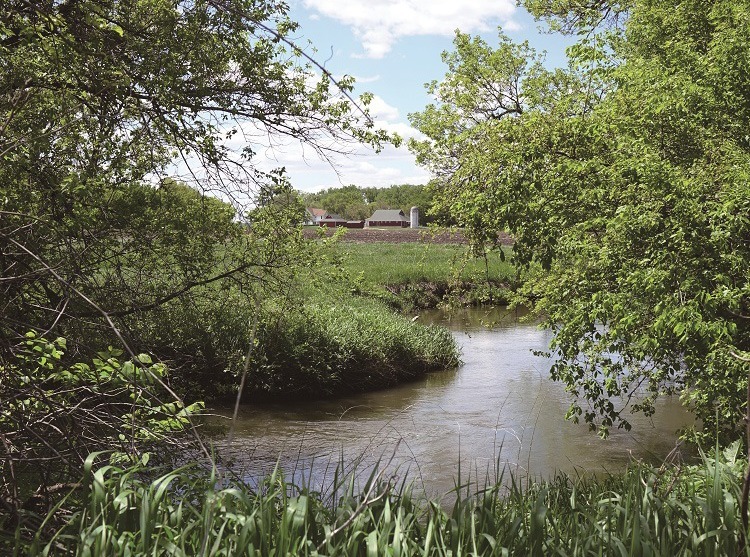 Plum Creek and its surrounding prairie beckon many birds. Wilder drew in many birds for the novel, several unidentified except by her transcriptions of their songs. But turn to a website like the Cornell’s “All about Birds” with its recorded birdcalls, and there they are, teleported from Laura’s late-19th century Plum Creek to your computer or mobile device. “Tweet, tweet, oh twitter twee twit” belongs to the tail-bobbing northern waterthrush, a small bird with a very large voice. “Chee chee chee” is the song of the bobolink, a black and white bird in clerical garb. A third, “Ha ha ha, tiraloo,” is the call of a western willet, a wading bird that breeds and feeds on Minnesota’s well-watered prairies. 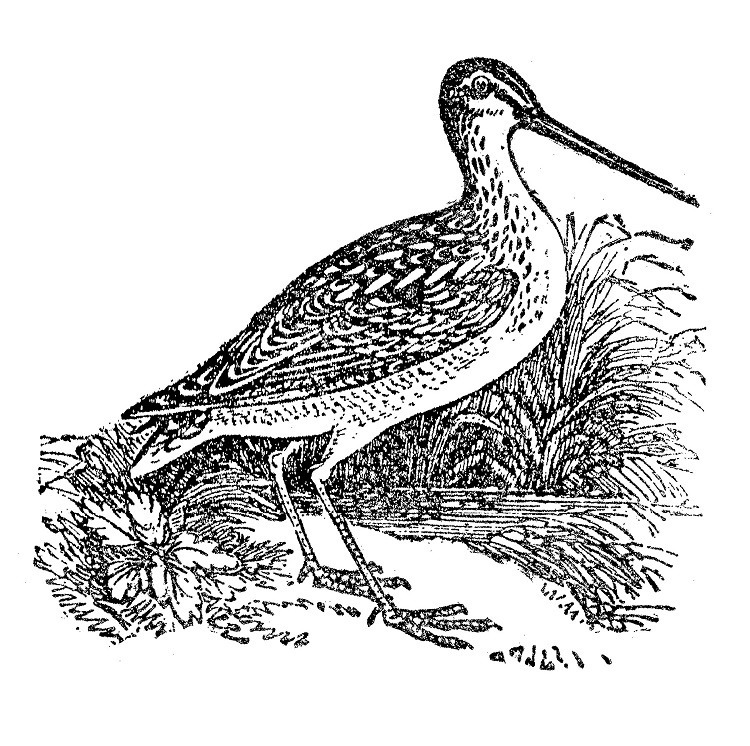 Willets are in the snipe family, and it is splendid that Wilder included their laughing song. In the novel, Mary and Laura, in their short school dresses, are taunted as “long-legged snipes” by the horrid little brother of that fictional arch villain, Nellie Oleson. 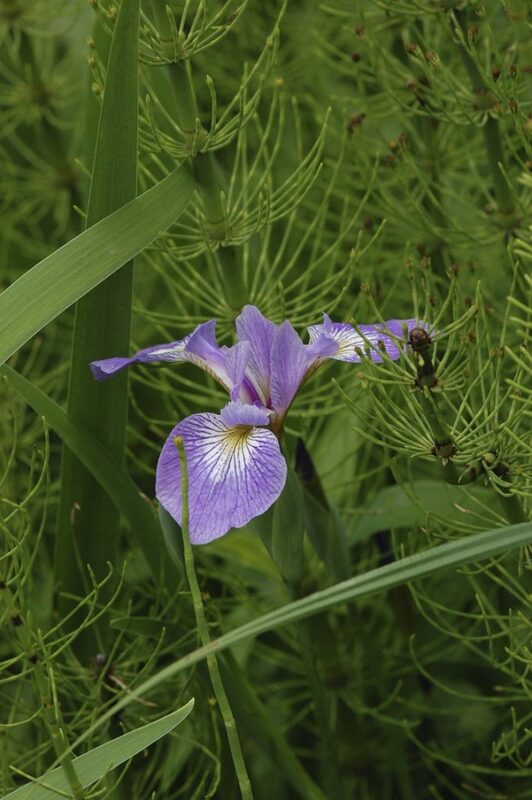 At the edge of Plum Creek, masses of wild irises grow. Wilder called them blue flags, adding that their petals “curved down like a lady’s dress over hoops.” Small wonder that the bees come calling to flowers dressed in such fashion. With her analogy, it is easy to picture the structure of the iris petals with arching falls and upright standards. Blue flag irises seem to invite comparisons to ladies’ attire. 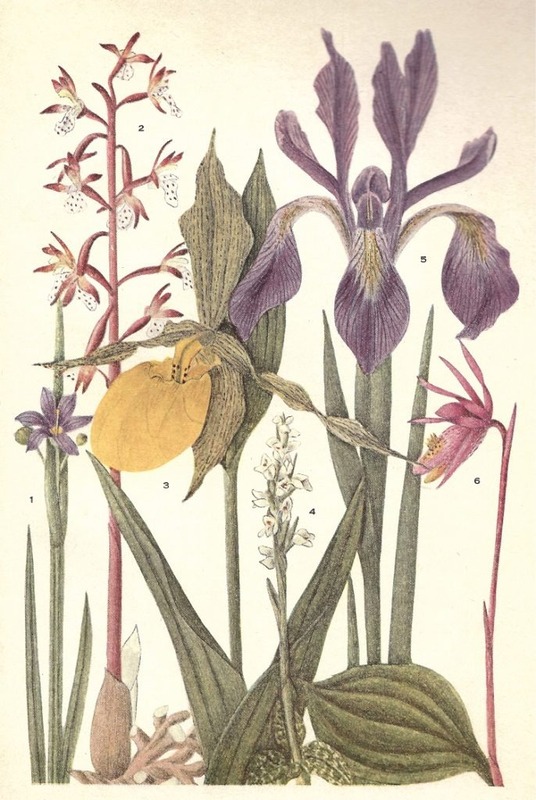 Henry David Thoreau, coming across a similar plant on one of his Massachusetts rambles in 1852, thought the flower sported “fringed, recurved parasols over its anthers.” He found the iris a bit much, “a little too showy and gaudy, like some women’s bonnets,” but there’s no accounting for taste. Laura loves them, and the girls gather bouquets for Ma’s table. It doesn’t take Laura long to discover that their individual flowers bloom for one day only. When grounded indoors—punished for venturing unaccompanied to the deep water of the swimming hole—she mourns the loss of that day’s blue flag blossoms. They are ephemeral, like childhood. Long before she was a writer, Laura Ingalls Wilder was a gardener and farmer, growing food for the table and raising crops for sale. Nature was her home, as well as little houses. Through her life and work, Wilder sowed a deep appreciation for the world outside one’s own door. Her books still inspire budding naturalists to plant, preserve and appreciate their own wilder gardens. 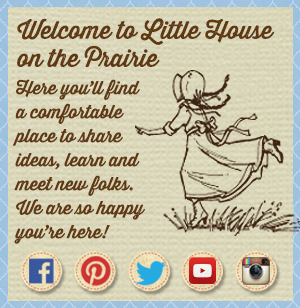 Marta McDowell has written a wonderful book entitled The World of Laura Ingalls Wilder: The Frontier Landscapes that Inspired the Little House Books, which we wholeheartedly recommend. For readers interested in gardening and literature, we also recommend Marta’s Beatrix Potter’s Gardening Life: The Plants and Places That Inspired the Classic Children’s Tales, which won the Gold Award from the Garden Writers Association in 2014, and All the Presidents’ Gardens, which relates the history of American gardening as seen through the White House grounds and won an American Horticultural Society book award in 2017. There have been many interesting books written about Laura Ingalls Wilder and her daughter and editor Rose Wilder Lane. We invite you to visit our Recommended Reading lists for children and young adults and adults. 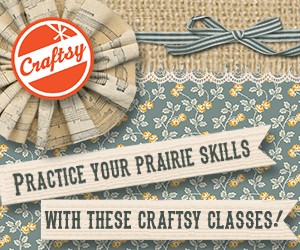 You may also be interested in a documentary film about Laura Ingalls Wilder. 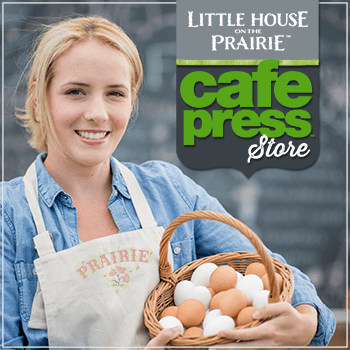 We will feature Marta’s books with a fabulous giveaway coming soon, so be sure to sign up for our free Little House on the Prairie® newsletter to stay informed. Marta McDowell lives, gardens, and writes in Chatham, New Jersey. 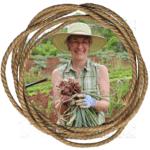 She writes and lectures on gardening topics and teaches landscape history and horticulture at the New York Botanical Garden, where she studied landscape design. Her interest is in authors and their gardens, the connection between the pen and the trowel. Thanks for the great article. My views on the natural world are very much informed by LIW and her books; the detail that she includes are some of the best parts! I lived in a house with no water. Get the the water from a stream. Had wood to heat and cook.